Written by best-selling author of Essential Teaching Skills, this research-informed guide is the perfect introduction to what defines good teaching. Bridging the gap between theory and practice, it enables trainees and new teachers to build on theoretical work where it matters in the classroom. Focusing on practical methods, techniques and strategies, Teaching Today has been one of the best-selling teacher training textbooks for the past 20 years. Retaining its practical and user-friendly approach, the fifth edition has been fully updated with new chapters on differentiation, equality, inclusion and working with stake-holders. In this classic introduction to professional and pedagogic skills, Chris Kyriacou provides expert guidance on the nitty-gritty of teaching. Compact and concise, it's ideal for students or experienced teachers wishing to explore their own practice, as well as teacher mentors helping others to develop their teaching skills. An accessible and practical overview of using social media technology intelligently and safely in teaching at all age ranges. Exploring key issues in teaching through the lens of reflective practice, in order to deepen understanding of teaching practice. Research Methods and Methodologies in Education 2nd revised ed. Education is of relevance to everyone, but it involves specialized terminology which may be unfamiliar or opaque. The second edition of this UK-focused dictionary - with around 1,100 authoritative entries - provides clear and accessible definitions of the terms, organizations, qualifications, statutes, and much more, involved in education today. The book features a model which helps to create successful mentoring-coaching activity in education and sets out a clear path along which to proceed. It describes appropriate behaviours and includes examples of questions that might be used. Maps out the professional, political and theoretical landscape of reflective practice, its nature and purposes and the claims being made for it. The authors centre their text on a model of the teacher as a reflective learner, with enlightenment and empowerment as central themes. An accessible and practical guide to informed assessment in the classroom for all busy teachers. An accessible and practical guide offering tried and tested strategies for developing an understanding of phonics and the development of effective pedagogy for all busy teachers. An accessible and practical guide on creative teaching, teaching for creativity and creative learning for all busy teachers. A handy compendium packed with facts and techniques that teachers need to have at their fingertips. It provides 1000+ answers, definitions and practical tips for the many questions that teachers need to answer. Quick, simple and effective, this book is an essential resource for anyone who lectures or teaches. This "Classmate" deals with a key topic for teachers wishing to develop their skills as a subject co-ordinator. Famery gives detailed advice from developing your skills and researching the subject to practising the role and developing it further. Designed as a perfect gift for teachers (there are hundreds of thousands of qualified staff currently teaching at all levels). Grey's Essential Miscellany for Teachers will amuse, entertain and educate in equal measure. The GCSE Mindset: 40 activities for transforming student commitment, motivation and productivity, written by Steve Oakes and Martin Griffin, offers a wealth of concrete, practical and applicable tools designed to supercharge GCSE students' resilience, positivity, organisation and determination. The word 'homework' causes despair in both pupils and teachers. Pupils because they have to do it and teachers because they have to prepare it, enforce it, collect it and mark it. This practical guide covers all areas of homework from reasons for setting it, to motivational techniques and how to support pupils of all standards. Features lists ranging from the practical, such as preparing for an interview, organising your classroom and dealing with difficulties, to the fun, such as how the children perceive you and what not to wear. A `one-stop shop' for assessment for student teachers covering all major assessment types carefully balancing theory with practical case studies and classroom activities. Known by many as the Learning Pit, the Learning Challenge is used around the world to promote challenge, dialogue, and a growth mindset. It encourages a depth of inquiry from students and nurtures a love of learning. Shows you how to understand and use 10 key educational ingredients to become a better and more effective teacher. Using case studies and real life teaching examples, this book explores how to use technology in teaching. Examples include gamified learning, social media, apps, video streaming and the flipped classroom approach. Looking at the educational research behind a wide range of teaching topics, this book explores what the evidence shows about effectiveness of different approaches. Describes how teacher-student relations possess an improvisational and ethical character. Internationally known educator Max van Manen shows through recognizable examples and evocative stories how good teaching is driven by the phenomenology of pedagogy. Helping children to learn despite their best intentions to the contrary. The only book full of ideas for lesson plenaries you'll ever need. Think for yourself - before someone does it for you. Outlines what a newly qualified teacher needs to know in order to be an immediate success in the classroom. The book includes a substantial section on every new teacher's biggest concern: behaviour management, as well as giving tips on: various teaching methods; lesson planning; assessment; and ways of organising the classroom. Energize your classrooms with these key techniques for college teaching Students say the best teachers get them excited about learning, stretch their thinking, and keep them actively involved in class. An accessible guide to effective communication with learners for trainee teachers in the Lifelong Learning Sector. The chapters in this volume illustrate how teachers are bringing creativity, higher-order thinking, and meaningful learning activities into particular school settings despite pressures of standards and testing. The word wise has been chosen for the title of the book, and is frequently used to describe the pedagogical practices that are identified. Supports both primary and secondary trainees and teachers with understanding the links between social media use and children and young people's mental health. 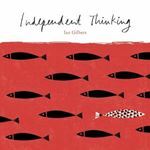 In The Learning Power Approach: Teaching learners to teach themselves Guy Claxton sets out the design principles of a pedagogical formula that aims to strengthen students' learning muscles and develop their independence, initiative, determination, and love of learning. Packed with practical teaching strategies, Making Every Lesson Count bridges the gap between research findings and classroom practice.